Scientific American continues its series on former Westinghouse (now Intel) Science Talent Search finalists with a profile of Susan Landau. When Landau entered the Science Talent Search, she was interested in mathematics and already studying college-level linear algebra, so she chose a number theory problem to work on: determining what an odd perfect number would look like. A perfect number is a number that is equal to the sum of the numbers that can be divided into it neatly except itself. For instance, 6 is the sum of 1, 2 and 3; 28 is the sum of 1, 2, 4, 7 and 14. She didn't actually find an odd perfect number (in fact, no one has), but she came up with some intriguing ideas about the minimum number of prime factors that perfect number would have to have. "They weren't theorems that would have astounded an established number theorist," she says, but they were good enough to earn her a finalist nod in the 1972 Westinghouse Science Talent Search. She continued her study of mathematics as an undergraduate at Princeton, but decided to pursue a PhD at MIT in theoretical computer science. Once she graduated, she found faculty positions Wesleyan and the University of Massachusetts at Amherst, focusing her research on symbolic computation and algebraic algorithms. She enjoyed the work. However, her husband was also an academic computer scientist, and for years they faced what academic families ruefully call "the two body problem." Finding one tenure track job is tough. Finding two tenure-track jobs in similar fields in the same geographic area is even tougher, as Landau has described. Branching out to industry promised to alleviate the problem a bit, and eventually, Sun Microsystems "made me an offer I couldn't refuse," Landau says. In 1999 she started working for Sun from home. A recent article in Science stated that 69% of married female physicists have scientists as spouses, as do 80% of female mathematicians and 33% of female chemists2. Chairs and deans are not discussing an isolated phenomenon when they say, We wanted to hire [a female scientist], but she was married to [a male scientist], and there wasn't a position for him." I do not think universities are using this problem in bad faith as a way to avoid hiring women. I think departments, chairs and deans do view each occurrence individually. A recent report from the University of Michigan pointed out that female faculty seem to benefit from career services even more than men, because women, based on our experience and interviews, often have a spouse or partner in a position equal to or higher than their own. Almost all female faculty recruited by Engineering have a partner with a Ph.D."3. She points out several programs which focused on spousal hires, including one at the University of Wisconsin which appears to be still in force. Of course what I suspect is the easiest solution from a university's point of view is a spouse who finds a job outside academia, as Landau ultimately did. My husband and I married while I was a graduate student in computer science at MIT. ``Don't have children until you finish,'' cautioned a friend, the wife of a history professor. I nodded easily. I was then twenty-five. At twenty-eight I completed my doctoral thesis. ``Don't have children until you get tenure,'' warned a member of the faculty. I was leaving to become an assistant professor at Wesleyan University. This time the nod didn't come so easily. My husband and I wanted a family. I didn't want to wait until I was thirty-five to begin one. Choosing which came first was not hard for me. If I had tenure at thirty-five, but was then unable to have children, the pain would have been unbearable. I knew I could handle the opposite situation. I had my first child at thirty-one, my second at thirty-three. At thirty-four I have my family even if I don't have academic permanence. All along I felt that the choices were more mine than my husband's. We both raise the children. I'm the one who's pregnant. I have the fuzzy brain for nine months; I'm the one who can't go off to conferences during the late months of pregnancy and the early months of nursing. My work suffers, my energy flags, my batteries fade. I've lost about two years of research in the first five years after my Ph.D. (What I've gained is immeasurable -- but not the subject of this essay.) So I get 51% of the vote. As it turns out, we both voted for children first, tenure second, so it was no contest. But there's a price I may yet pay in my career. Landau wrote those words 20 years ago. While it's impossible to know how having children affected her career, I don't think there is any argument that she has been successful. 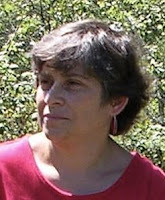 Currently she is a Distinguished Engineer at Sun Microsystems Laboratories, where she works on problems in digital rights management, computer user privacy, and the timely field of computer security and public policy. She has profound impact in at least three areas of computer science: as an extensive commentator and advisor on U.S. wiretapping and encryption policy; as a world renowned expert in computational algebra and number theory (mathematics intimately related to cryptography), and in developing numerous programs to benefit women in computer science. A Sun Microsystems Distinguished Engineer, Landau is a leading scholar in all three areas and publishes widely. Her book, co-authored with Whitfield Diffie, Privacy on the Line: the Politics of Wiretapping and Encryption, attracted immediate international attention and played a significant role in the 2000 loosening of U.S. cryptographic export-control regulations, stimulating the global technology economy and offering protection to consumers in all non-embargoed countries. Her unusual blend of technical expertise, policy insight, industry connections and drive, along with her dedication to the advancement of Women in Computing, make Landau a true Woman of Vision. Her important work on computer privacy and security seems a long way from the hypothetical mathematical problem she entered into the Westinghouse Science Talent Search contest back in 1972.